Whether you’re a business owner or a hiring manager, if you only hire when your company has an immediate opening, you’re probably missing out on star candidates. This is because most job candidates in the market today are constantly looking at new job opportunities – even if they’re happy in their current roles. In fact, 72% of adults keep track of other open jobs in the market, regardless of their current status, and 58% of adults research jobs at least monthly. Given the high percentage of potential employees constantly keeping an eye on jobs, your company should never stop hiring, even if this means simply keeping a handful of jobs open on your career site to build a pipeline of candidates for down the road. And if the right candidate comes along, you might even want to jump at the opportunity to hire them earlier than anticipated, as the best candidates are off the market in 10 days – and could potentially end up working for your competition. Download a full PDF of Why You Should Always Be Hiring or continue reading below. Most companies have a reactive hiring process: they only hire new employees when the need arises. This is usually triggered when a top employee leaves the company, a bad hire is finally let go, or the business grows and new roles need to be added. Reactive hiring is similar to buying a house – you’ll be limited to what’s available on the market at the time, facing competition for top prospects. On the other hand, if you’re always hiring, you can maintain a network of candidates and avoid scrambling to make a last-minute hire from a tiny pool of applicants when you have the need. Losing overworked employees: Any time you have an open role at your company, the rest of your employees have to pick up the extra work. Whether an employee leaves or your company has grown to the point of needing to add a new role, the rest of your employees are at risk of getting overworked and, potentially, looking for new jobs. Keeping bad hires for too long: The costs associated with a bad hire adds up quickly – including training and salary costs, as well as costs associated with other employees picking up a bad employee’s slack. In some cases, you might keep a bad hire on board to stay fully staffed – only to finally hire someone when it’s gotten out of hand. But doing so can cause your company’s productivity and profitability to take a hit. Making hires too quickly: Similar to keeping a bad hire on board, you might also hire too quickly in an effort to fill an open role. Without a continuous hiring strategy and network of quality candidates to pull from, there’s a chance you’ll end up making a bad hire. And according to the U.S. Department of Labor, the cost of a bad hire can be at least 30% of the employee’s annual salary, in addition to any lost morale or productivity caused by hiring a poor culture fit. Proactive, rather than reactive hiring is especially important for high turnover roles – such as automotive technicians, and specialized roles – such as teachers or nurses – as they’re constantly in high demand and you’ll face competition when hiring for these roles. You should be aware of any high turnover or niche roles in your organization and always be prepared with candidates on deck. A continuous hiring strategy offers a more proactive approach: you can hire new employees in anticipation of the need, not once it’s already a problem. This approach leaves your current team more productive and happy, and saves your business time and money in the long run. No matter your hiring needs, set aside time each week to review, and even interview, recent applicants so you can have a pipeline of candidates each time a hiring need arises. Constantly having job openings posted on your career site and other job boards shows you’re a successful and growing brand – which will ultimately make candidates excited to work for your company. In fact, 84% of candidates would consider leaving their current company if another company with an excellent reputation or brand offered them a job. A strong employment brand encourages more candidates to apply for jobs through your career site and Hireology data found 30% of applicants from our customers’ career sites are seen as quality hires, the highest percentage by far across all sources. On the other hand, if your career site shows no openings or lack of an employment brand, your company might be seen in a negative light by the time you have an immediate hiring need. Also keep in mind that hiring is an extension of your overall brand. Potential job applicants might also be your customers and vice versa, so even if they don’t get the job, having a good experience and interview will make the person more likely to be a customer in the future. Gone are the days when employees stay with the same company for their entire careers. In fact, 75% of job seekers today are passive candidates, meaning applicants who aren’t actively looking for a new job, but willing to consider a great opportunity when it comes their way. 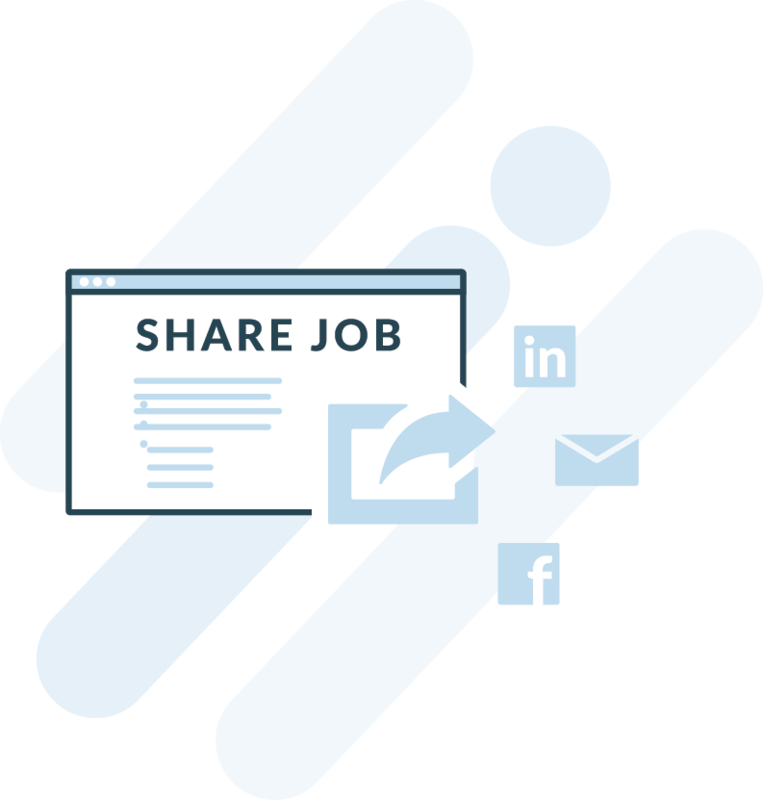 Keeping jobs open on your career site helps you capture passive candidates and add them to your network. If you don’t have an immediate hiring need, consider keeping an open role on posted on your career site. Doing so will encourage truly interested candidates, who have taken the time to research your company, to apply or reach out. If a top candidate you cannot pass up comes along, you can even consider making a hire when you were least expecting it, and get one step closer to building your best team. Building a network can also be helpful if your company tends to hire for seasonal roles. For example, if college students apply for a summer job when you’re already staffed up, you can keep their candidate profiles on file for your next busy season like the holiday rush. Networking Pro Tip: If you don’t have the resources to make a hire right away, you can still keep in touch with strong candidates. Consider inviting passive candidates in for an informational interview or asking your best candidates to coffee every couple of months. Then, when you need to hire for an open position, or replace a low-performing employee, you’ll already have a list of potential candidates to fill the role. Keeping an endless supply of applicants at your fingertips will shorten your entire process, as you won’t have to source candidates from scratch each time you have an open role. And by maintaining a shorter, more efficient hiring process, you can hire top candidates before your competition. Candidate profiles: As you receive and review applicants, you can keep a centralized rolodex of candidates you might consider hiring down the road, along with notes about what stood out in their applications, pre-screening surveys or initial interviews. Completed pre-screening surveys: If you automatically send applicants pre-screening surveys but are looking to hire down the road, you can keep the completed surveys on hand so candidates don’t need to fill them out a second time when you have an opening. Job profiles: An effective job description can make a significant difference in attracting qualified candidates and getting them excited to work for your company. Rather than rewriting a job description for the same role, an applicant tracking system keeps all job profiles on hand for you. Customized interview questions: Writing customized interview questions takes time, especially if you’re hiring for several different roles that require different interview questions to gauge each candidate’s potential. Save time and money by storing your interview questions in an applicant tracking system and only making small updates as needed. By already having a few hiring steps checked off your list each time you need to make a hire – such as writing the job description and completing pre-screen surveys – you’ll have a shorter hiring process overall and create a better candidate experience. Maintaining a continuous hiring strategy helps you hire your best team and creates a positive candidate experience. 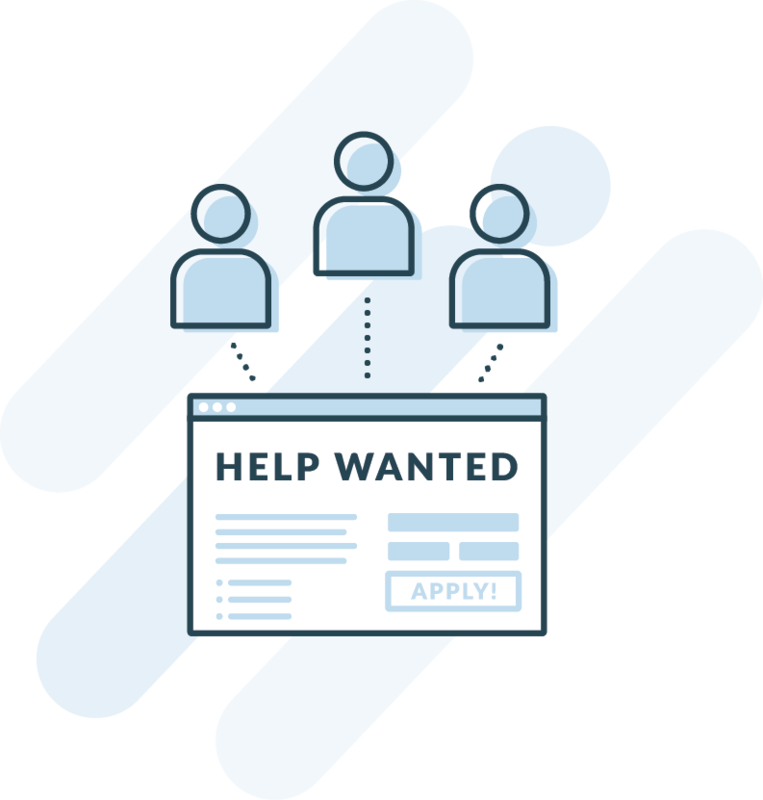 And as a Hireology customer, you can centralize the entire hiring process, build your best employment brand with a career site designed to find and attract top applicants, and automate many many manual steps to increase hiring velocity. As a customer, you’ll also have exclusive access to the latest Hireology features as they become available. Hireology Insights use your hiring data – and compare the data to industry benchmarks – to answer such questions as, “What is my hiring velocity?” and “Am I following my hiring process?” Insights provides actionable steps to improve your hiring strategy and drive team accountability for following every step of the hiring process. See how Hireology can help you build your best team.